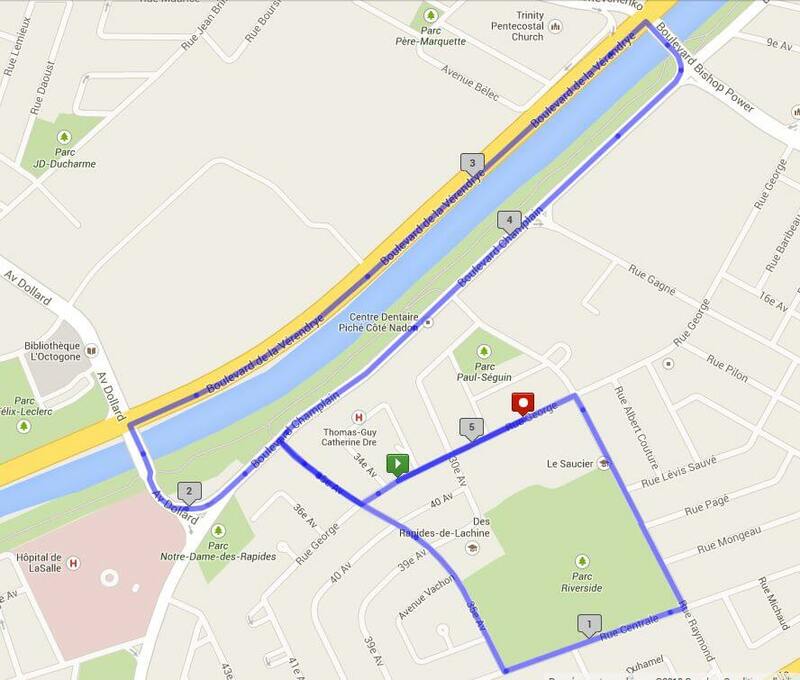 You are invited to celebrate with us the 40th anniversary of the Course et marche populaires de LaSalle and test your spring fitness on our fast, flat and closed race courses! Face painting for children participating in the 1 km race! Piece of birthday cake to all finishers! Supervised warm-up before the 5 km race and walk and the 10 km race! Free physio and massage therapy after the races! Stilt-walker on the race site! Draw for free registrations to next year’s race! If you have any questions regarding our event, please contact us! A GOLD label has been awarded for this event by the Fédération québécoise d’athlétisme. 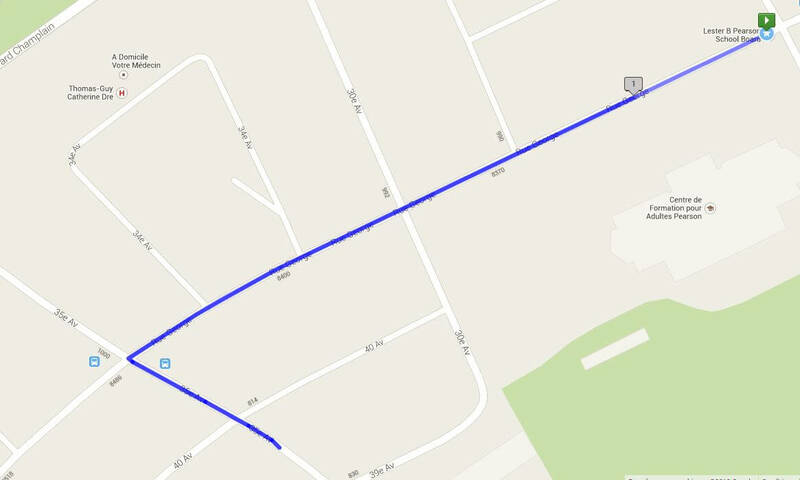 Free parking: 500 meters from the finish line at the shopping center located at 8188 Champlain Blvd (JEAN COUTU, IGA); from the east, take GEORGE and turn right on GAGNÉ. NOTICE : we ask all participants to use only the reserved parking spots and to listen to the parking instructions of our security personnel. Please note that the Pearson Adult Center parking is reserved to the race organizers and will be closed from 8:00AM to 12:30PM. Baggage check service (in the school gymnasium). Physio and massage therapy by Action Sport Physio and Kinesense. Same day on line results on Sportstats. An ideal opportunity for all 12-19 year old participants to race against a field of top notch competitors to start their season. Loop around the Pearson Adult Center that will allow your family and friends to cheer you on! 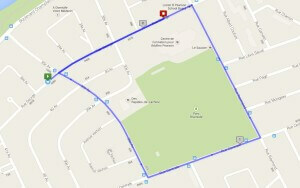 Runners and triathletes, test your spring fitness on a flat, speedy and secured 5 km course closed to traffic. For a 12th consecutive year, the Caisse Desjardins de LaSalle is a prime sponsor of our event which will this year contribute to the celebration of our 40th anniversary. For a ningth consecutive edition, IGA BECK of LaSalle will provide to all participants a generous post race snack. In 2019, IGA BECK will again sponsor the main event of the morning: the 10 km race. Come and celebrate the return of spring and raise funds for the LaSalle Hospital Foundation through this annual 5 km walk! The Kilomaîtres de LaSalle will donate $7.50 per walker registration to this foundation. 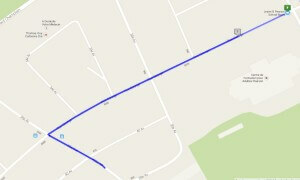 Time and location of the start of the 5 km walk: 9:55 AM on George Street near the 34th Avenue. 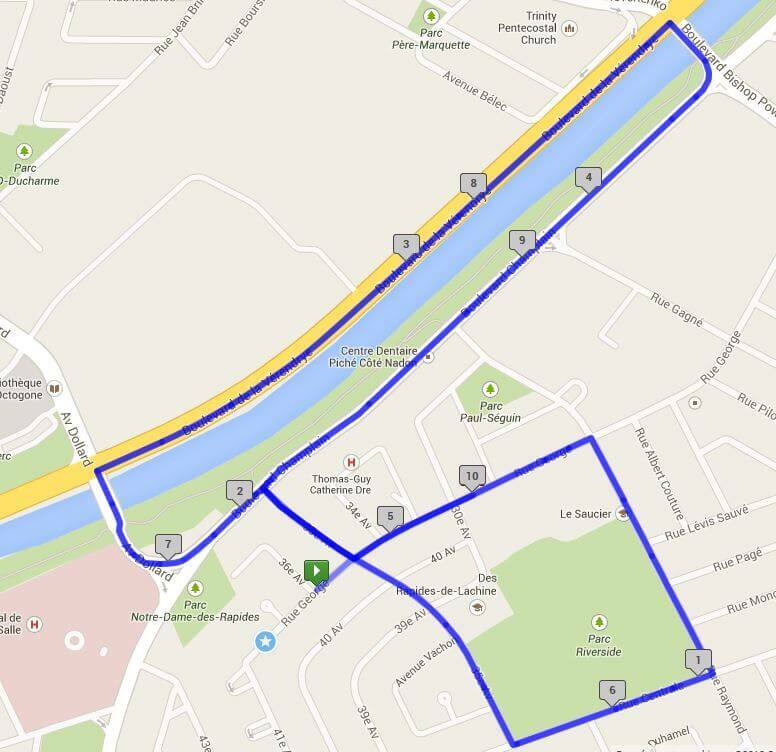 The 5 km walk course is the same as the 5 km race course. 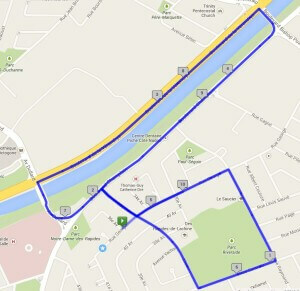 See 5 km course pictured below. Please be on site 30 minutes earlier to get your bib at the Pearson Adult Center. Face-painting session at the gym starting at 10:30 AM! Participation medal to all finishers! Get your kids moving with this fun and affordable race in memory of Mike Strange, the coach and director of the Kilomaîtres de LaSalle who has founded the club’s track and field team and contributed to the athletic, academic and personal development of numerous young athletes. Participation medal given to all children at the finish line. Gold, silver and bronze medals awarded to the first three finishers of each age group. Official medal ceremony at the cafeteria for winners of all age groups of the 1 km race. NOTE – No child who is more than 11 years old can win the under 11 years old 1 km race, or be on the overall standings podium of that event. Children who are more than 11 years old can only receive an age group (12-13 years old) winner’s medal. Participants will be able to pick up their bib at the Boutique Endurance (6579 St-Denis) on Friday March 22nd from 10:00 AM to 9 PM and on Saturday March 23rd from 10:00 AM to 4:30 PM. Runners picking up their bibs at Boutique Endurance will be entering a draw! Bibs will also be given in the school gymnasium (in LaSalle) on race day starting at 7:30 AM until 30 minutes before race time. 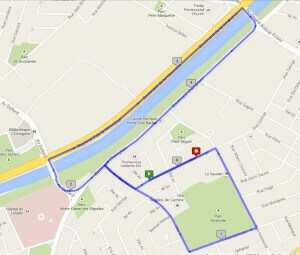 For those who would like to take a look at their race course to prepare themselves accordingly! Limits in 2019: 850 runners in the 10 km, 750 runners in the 5 km, 150 walkers in the 5 km and 2300 total for the day. Option 2: On site registration (Friday and Saturday at the Boutique Endurance, and at the school on race morning). Registration starting at 7:30 AM on race day, closing 30 minutes prior to each event. Participants can also register at the Boutique Endurance on the 22nd and 23rd of March at the Race day rate. From Angrignon metro station, take bus 110. From Jolicoeur metro station, take bus 112. Both buses will bring you on George Street near the starting line. 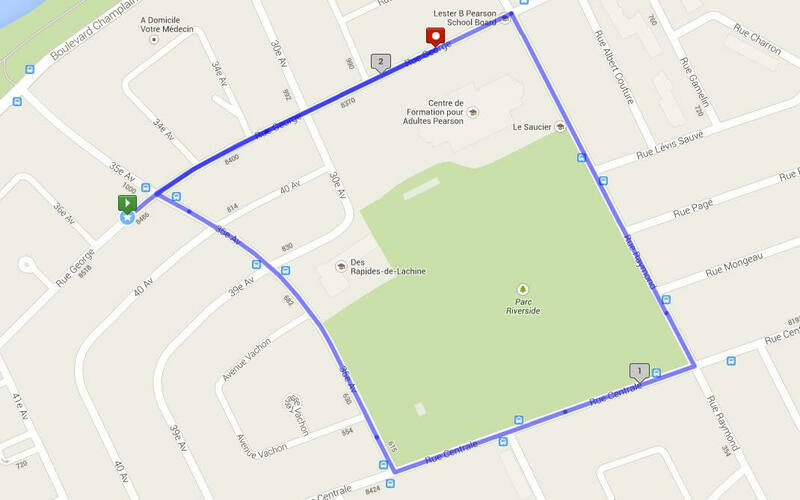 Parking on Raymond Street, George Street and at the shopping mall (500 metres from the start line) located at 8188 Champlain Blvd (IGA, Jean Coutu). From the east, take GEORGE and turn right at GAGNÉ. NOTICE: we ask all participants to use only the reserved parking spots and to follow the instructions given by our security personnel. Please note that the Pearson Adult Center parking is reserved to the race organizers and will be closed from 8:00 AM to 12:30 PM.